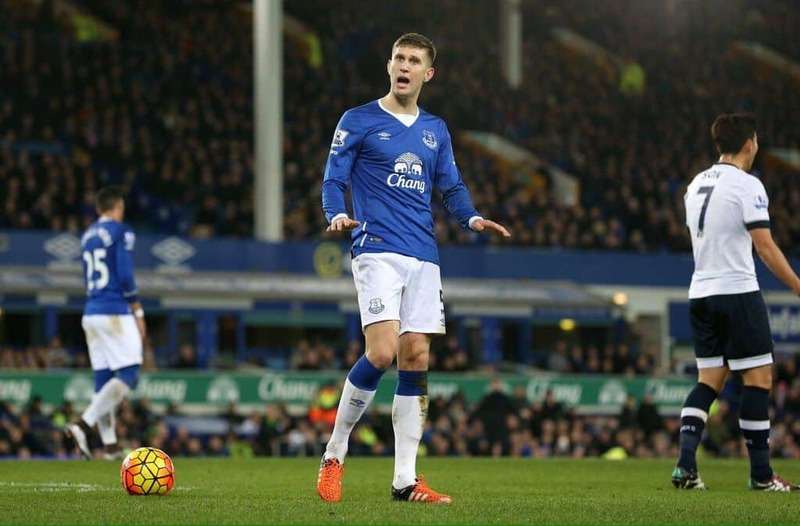 John Stones – defender or midfielder ? John Stones – centre-back or midfielder. In a couple of forum threads previously, I’ve mused that John Stones might be better deployed in midfield as against the central defensive role of the past season. 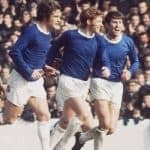 This feeling was endorsed by others, including my older brother, a lifelong Evertonian and passionate football watcher. Between us, ar kid and I would like to venture further our thoughts, largely prompted by recent comments from none other than former England centre-back Sol Campbell. Campbell voiced his opinion the other day – and whilst we’re not usually accused of paying attention to the ramblings of people who stand up for the Tory party – call us prejudiced but they are… well, let’s no go there eh – he was talking about Stones, so our ears pricked up and our attention was drawn. His gist was, ‘He’s not a good centre-half yet cos he makes too many mistakes…’ comments that whilst harsh are somewhat hard to disagree with at times… and the key word here is yet. In Stones’ defence, he makes mistakes because of an in-born elegance which makes him consider row Z to be a personal defeat and slight upon his prowess – but – rather like a goalie – mistakes made at centre-half can and do tend to be crucially and violently punished. And there is no pressing reason for him not to continue to be a centre-half – just patience being required as he is hopefully coached better in the near future and really learns the craft… and then the use of the word yet can or will be dispensed with. Our contention is that for a footballer of his gifts – and he does (and rightly so) LOVE to play with the ball, he could and should (certainly at Everton) be pushed forward into midfield where it’s axiomatic and blindingly obvious (to us at least) that he would strengthen that whole department, provide absolutely first-class ball-winning skills, and have a platform to Be Creative. Creativity especially from the midfield is a trait we’ve lacked in the past two seasons if not for a while longer as bless him, Gareth Barry is more of an anchor; James McCarthy is a willing workhorse and as yet, we’ve not really seen enough of Mo Besic to judge him fully. Ross could be the creative midfielder, but for us, his talents – again given better coaching and mentoring – are better suited to playing behind but in strong support of the centre forward or strike partnership. Back to John Stones and he can dribble; his passing is brave and witty; he has decent acceleration (certainly compared to Gareth Barry) and, for us crucially, the cover (and knowledge) he would bring to the back-four would be the best we could currently hope for. Also his height in defensive (corners, free kicks etc) situations is still there… albeit with more coaching, practise and much more confidence needed in his aerial abilities as in similar vein to others who have pointed out, aerially he is not quite what you would expect from such a tall young man. We have been amazed no-one of the previous managerial and coaching regime tried this with JS. We thought and to some degree hoped that Roberto Martinez would have seen what we see, sadly he didn’t and neither did any of his coaching staff. Without wishing to kick people when they’re down, what exactly did they achieve with any of the squad… and now, typical Everton, it may well be – hopefully not – too late. The way ar kid and I see it, if (heaven forbid) John Stones were to leave Everton and end up at OT this summer, mark our words, watch José drop his pursuit of Matic and give the deep, ball-playing midfielder gig to JS.